Are your kids asking for some new music this Holiday season? Well my niece always asks me for new music. Why she associates me with music I do not know but she does. I am going to give her "Jefrey Au-Go-Go!" "This album is the first where I've completely let 'me' be 'myself,'" says Jefrey. "I loved letting go of the seriousness of rock, re-approaching the music with fewer inhibitions, and just enjoying playing. Working within the constraints of having to keep songs fun, simple, and somewhat upbeat actually helped me to become more concise and creative. Necessity really is the mother of invention!" Let's face it, music gives us a way to express ourselves. It can let us be silly, serious, crazy, wild, you name it and music allows us to be who we are, and how we want to be. Maybe that's why so many of us relate to music. My girls really liked listening to "Shake It Off", it's just as catchy as Taylor Swift's "Shake it Off". I know we listened to it at least 20 times in the car. I know being released on Jan. 2oth kind of puts a damper on things but you can always print out the picture of the Cd and put it in there stocking so they know that it's coming. I actually have to do that with one other gift. 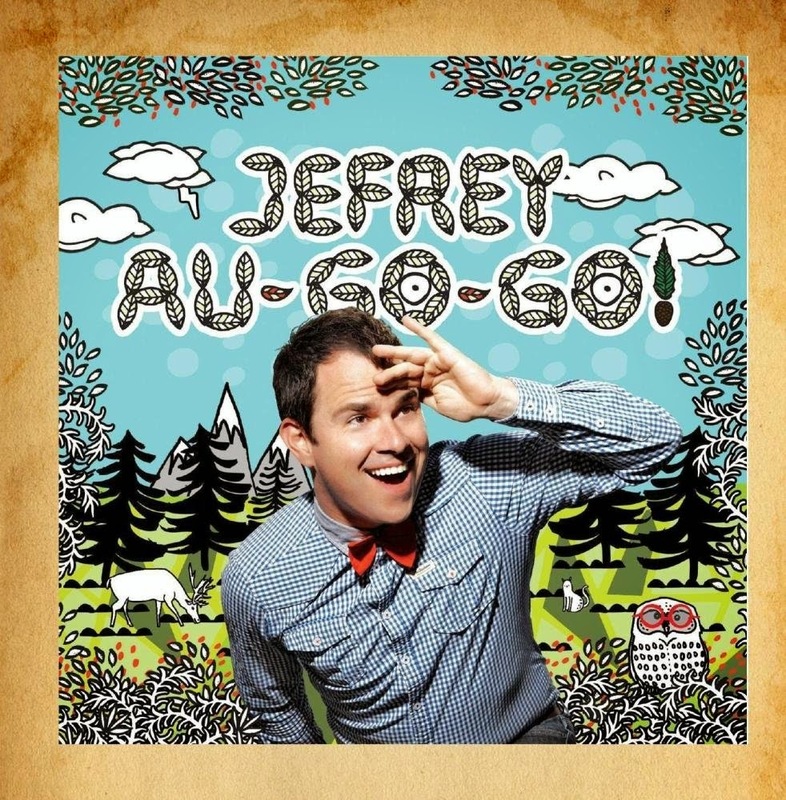 I highly recommend adding Jefrey Au-Go-Go to your Christmas list or as least think Easter basket. Would you like to win a copy of this CD? Winners responsible for supplying shipping info. - Share this giveaway on Facebook, leave the link in comments. They have a lyrics page! He's a fun children's musician.